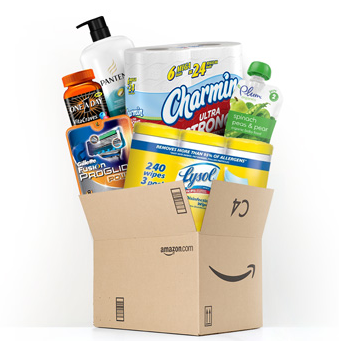 Amazon is now offering an extra incentive to take advantage of their Subscribe & Save program! If you have 5 or more Subscribe & Save items delivered in the same month, you will save an additional 10%. You regularly save 5% using Subscribe & Save, and when you hit 5 orders in the same month, you get 15% off instead! To help you hit this 5 subscriptions per month mark and get your 15% bonus discount, I’ve put together a list of some items under $3 and $5! Some of these items are so inexpensive, it would actually be worth it to add them on to your Subscribe & Save order just to get your 15% discount! The amount you save may exceed what you buy with the extra items added on. Be sure to check out the best Subscribe & Save deals I’ve posted lately as well. This list was last updated on October 2, 2018. Prices listed reflect the current Subscribe & Save price with the regular 5% discount. When you have 5 subscriptions, your prices will be even lower. As with all Amazon deals, prices can fluctuate. Be sure to verify the prices before checking out. This list is updated on a monthly basis. Remember – after your order arrives, you can cancel your subscription at any time, if you no longer wish to receive regular shipments, as these prices aren’t guaranteed for future orders. I am a participant in the Amazon Services LLC Associates Program, which is a program designed to provide a means for sites to earn advertising fees by linking to amazon.com. Thank you for supporting Cha-Ching on a Shoestring. For more information, see my disclosure policy.